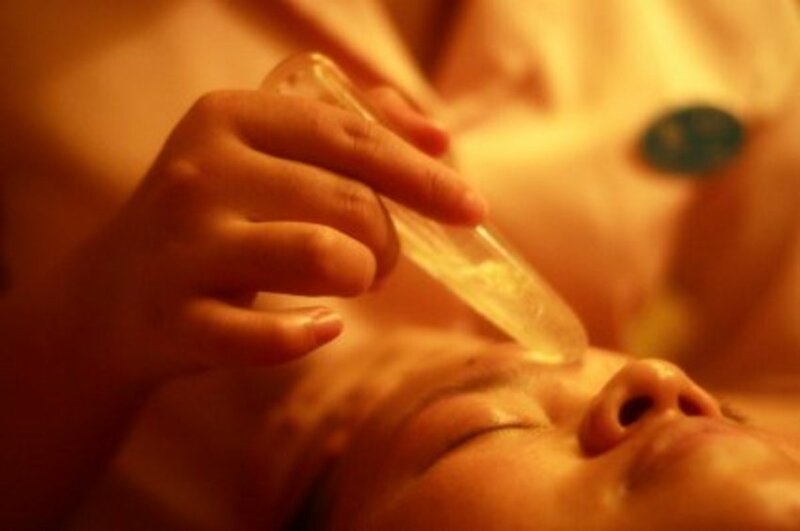 Crystal healing is an alternative therapy that has been used by many cultures throughout history. It is a holistic therapy that works to heal and bring into balance physical, emotional, mental, and spiritual well-being. This is a gentle and accessible therapy that is safe for use even with babies and children, pregnant women, and older people. 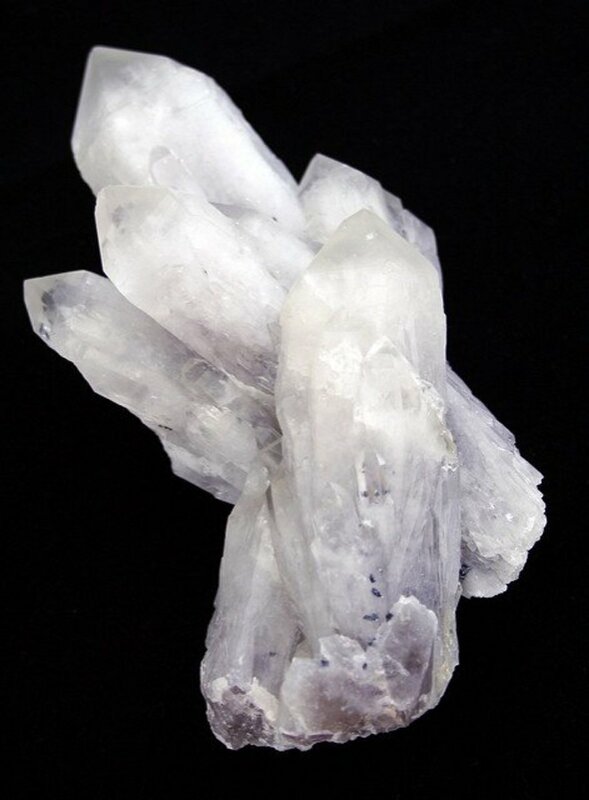 Crystal healing can be used exclusively or can be used alongside other alternative or conventional therapies such as reiki, meditation, aromatherapy, reflexology, chemotherapy, and medications. Crystals possess the ability to hold and transmit energy. This energy can be released to help with healing and well-being or to enhance the surrounding environment by interacting with electromagnetic energy fields. By absorbing negative energy and focusing and directing beneficial energy, crystals can be used to help with a vast number of issues such as stress, depression, circulation, insomnia, and sadness. These varied and beautiful stones can also be used to enhance our homes, gardens, and work spaces. This is achieved by placing appropriate crystals in the space. 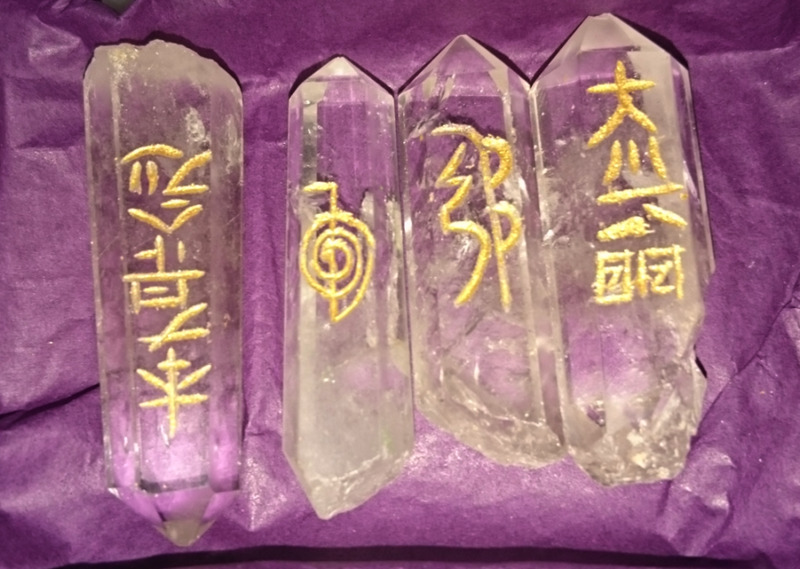 The crystals can be raw or polished versions or can be featured in other items such as wind chimes and ornaments. 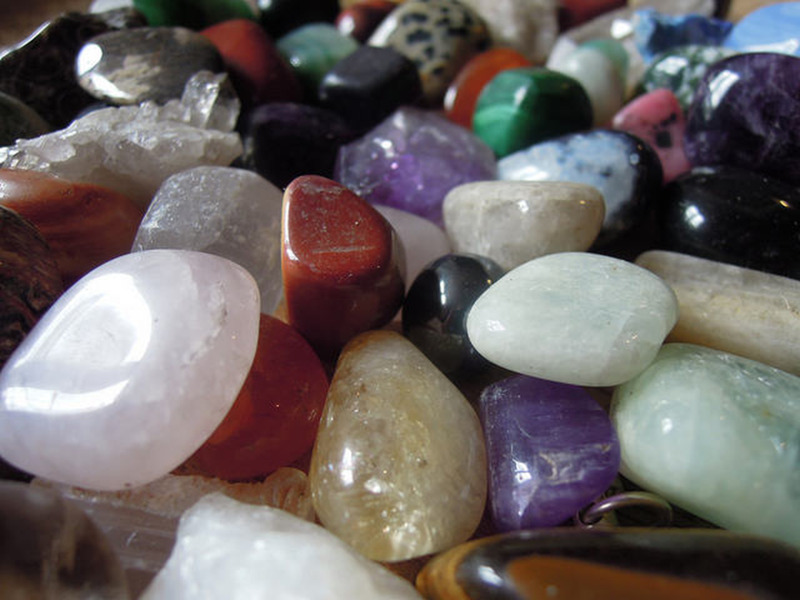 Crystal healing requires no specialized or expensive equipment; all you need are the stones themselves. You do not need to buy very large or fancy carved specimens as these are purely cosmetic factors and have no influence on the crystals' abilities. Additionally there is no need to buy a huge variety of stones when first starting out. Not only can this be very expensive, but as time goes by you may find that you do not use the varieties bought—you may in fact need others. 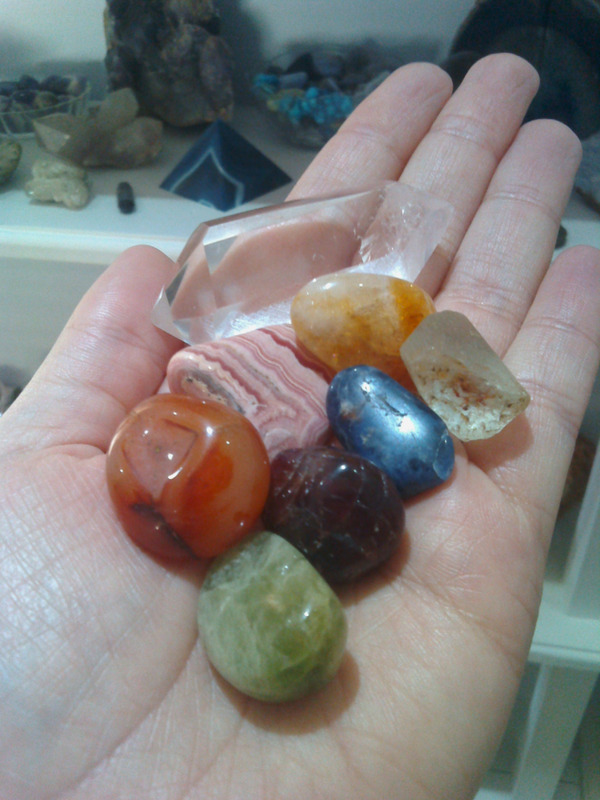 A good method of building a collection of healing crystals is to buy each variety as it is needed. Alternatively, you may choose to buy a small number of crystals that have a good range of uses and then add to these as you gain more experience and knowledge. A good crystal guide book is useful to have at hand as this will enable you to learn more about crystals and know which are useful in what circumstances and also to identify which stones will help you at any given time. 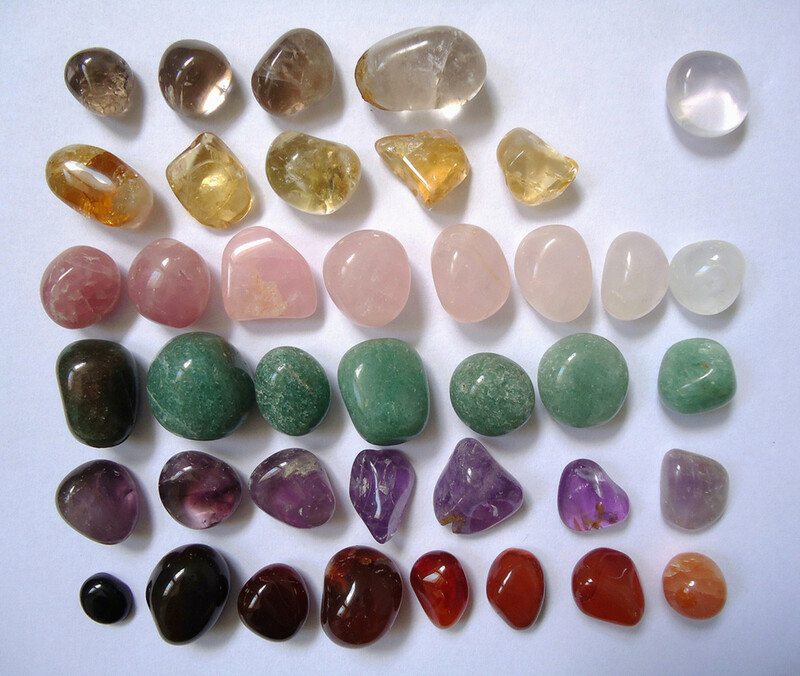 Each crystal has its own natural vibrations and is known to have healing properties connected to particular health problems, medical conditions, or parts of the body. For example, hematite has been long associated with the blood and is used to treat circulatory problems, anaemia, and issues that affect the kidneys. By learning about each crystal’s unique properties it becomes possible to choose the types that are most appropriate to help in any given situation. Crystals can be calming or energising and can also stimulate or sedate overactive organs or processes. Some crystals heal quickly and can be simply placed over the problem area. 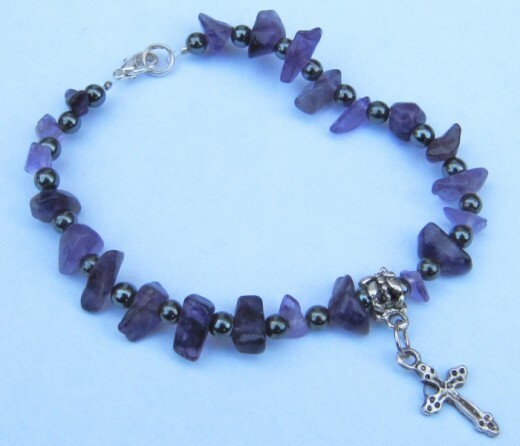 An example of this is using lapis lazuli, amethyst, or amber to ease a headache by holding them over the site of the pain. Other crystals are slower acting and may need to worn or carried with you for a period of time in order for you to fully receive their healing energy. Both natural and polished crystal specimens can be used in healing and will work equally well. In some cases polished stones, which are also known as tumble stones are harder wearing or may be more practical to use. 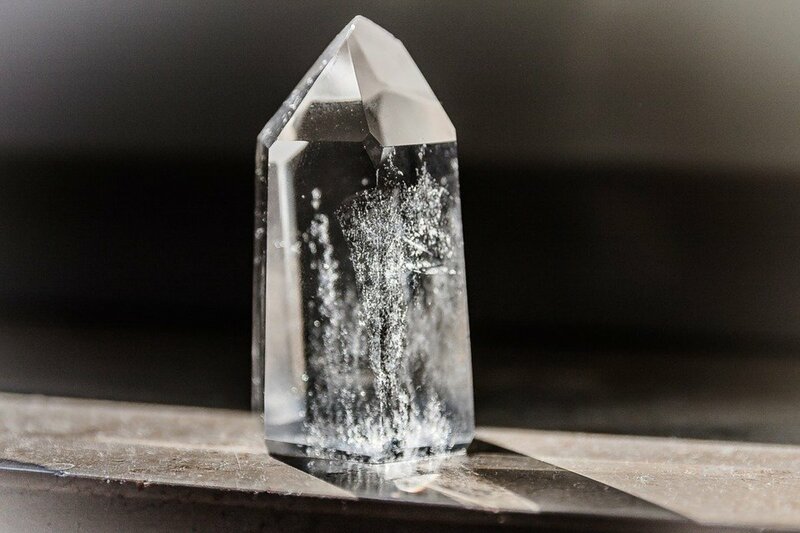 Raw, unpolished crystal pieces can make beautiful additions to any room but may be uncomfortable or too delicate to wear or carry with you every day. A small tumble stone can be easily carried in a pocket or bag and these can often be found incorporated into items of jewellery as well. These smooth stones can be placed around your home singularly or grouped in containers or placed on display shelves. Crystals can be used in a huge variety of ways so you can experiment and see what methods work best for you and your needs. Although crystals themselves are generally safe, there are some things you should consider when using them. 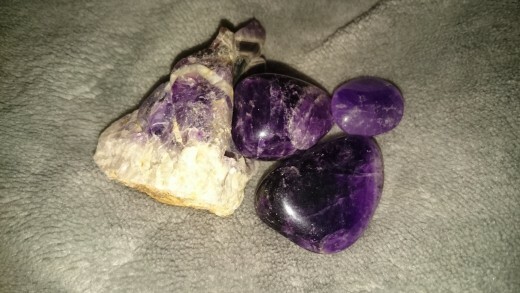 If they are too be used with small children or babies the crystals should be placed out of reach or secured in a cloth pouch due to the risk of them being swallowed or posing a choking hazard. The small drawstring pouches that are often used for jewellery are ideal for this as they can be knotted closed, keeping the crystals securely inside. Another method that is often used with children is to place crystals underneath their mattresses. The same precautions need to be considered for anyone that may not understand that the crystals should be left alone and not placed in their mouths. 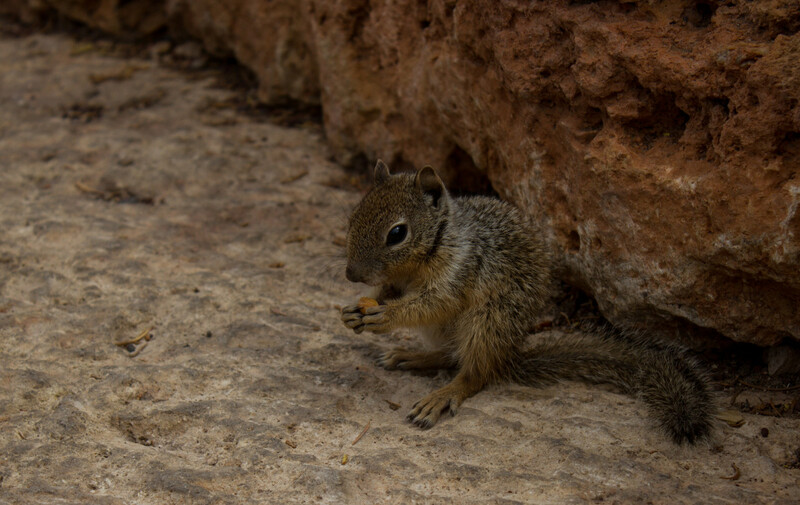 Care should also be taken using crystals where pets may be able to reach them and mistake them for toys or food. The majority of crystals need to be cleansed to keep them at their most beneficial. This process removes the negative vibrations and energy that are absorbed during healing or from the surrounding environment. 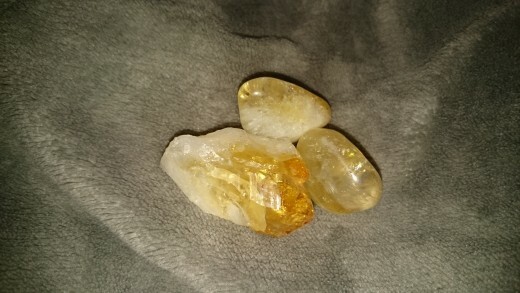 A few crystals such as citrine and kyanite never need to be cleansed and clear quartz and carnelian crystals can be used to cleanse other stones. Crystals can be cleansed in many ways though some are more suitable than others depending on the type of crystal. A simple method of cleansing that can be easily performed anywhere is to leave your stones in the light of the sun or moon for a few hours. Keeping a carnelian crystal in with other varieties will cleanse all the stones, as will placing them on a piece of clear quartz. Using carnelian or quartz to cleanse other types of crystals is an ideal method for more delicate stones such as selenite. Other methods of cleansing include holding crystals under running water, smudging and burying the stones in the Earth. Crystals can be used in meditation, which in itself is known to ease stress, lower blood pressure and help calm the mind and body. Crystals such as amethyst can be held during meditation to help deepen and enhance your experience. They can also be used in chakra healing meditations. Crystals can be worn as jewelry or carried in your bag or pocket wherever you go. 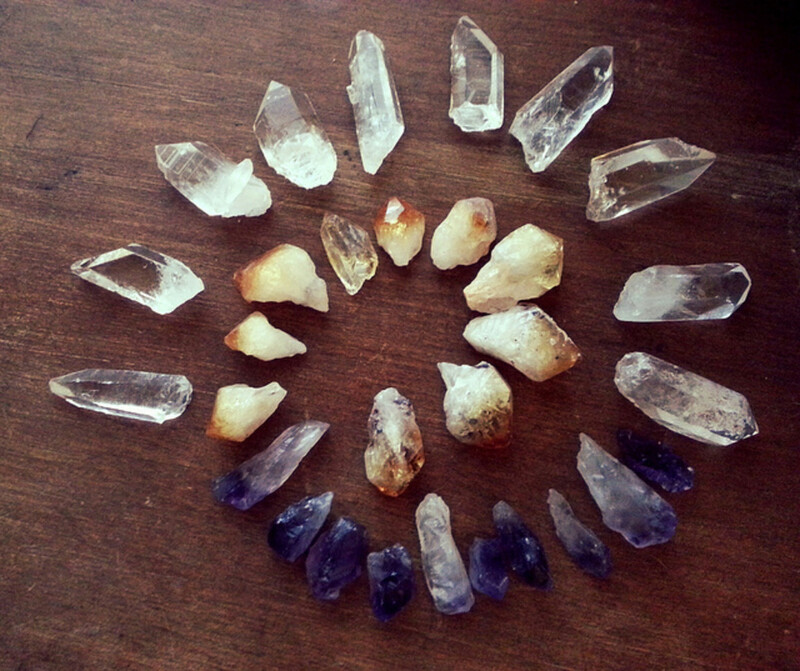 Place crystals around your house to attract their healing and positive energies. This can be particularly useful for cleansing electromagnetic smog given off by electronic devices and geopathic stress. 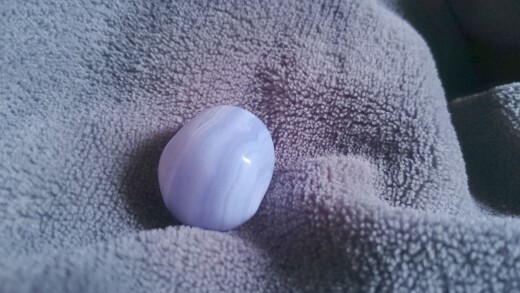 Placing healing stones around the house is an excellent way to enable several people to benefit from their presence or to bring a particular energy into the space. For example, if you wish to create a calming and serene atmosphere, place appropriate crystals in a shared area of the house or workplace. two at your hips and two at your ankles, one on each side of the body. Now close your eyes and relax. Remain laying within the stones for 10 - 20 minutes. After the exercise the crystals should be cleansed using your preferred method. Hello. I have found that Pinterest is a good place to look for crafting projects. You may be able to find a pattern on there. Ravelry is another good site as it is specifically for people who knit or crochet. hello,I just wished to write to say how much I've eyjnoed reading your site. I am part cherokee on my mother's side and my sister is half blackfoot on her father's side. we are half sisters actually as you can see. but anyways I love anything and everything to do with the Native American culture. I also have a friend who is always looking for new info on this as well and I am having a problem with finding information about her birth totem. Her birthday is September 13 If you could help me I'd be grateful as I say she loves Native American stuff as I do. Also I noticed you do crafts. I do too and am looking for a crochet pattern for a native american girl dress to do for a project I'm working on. If you may have any ideas or could help in any way I'd be grateful. Sorry if I've rambled I take medication due to a serious ailment which has left me bedbound. Thanks again for any and all help!!! !